Every winter, the Mycological Society of San Francisco organizes a fungus fair. The fair features talks by fungus experts, mushroom cooking demos, collections of live local species, activities for the kids, and vendors. 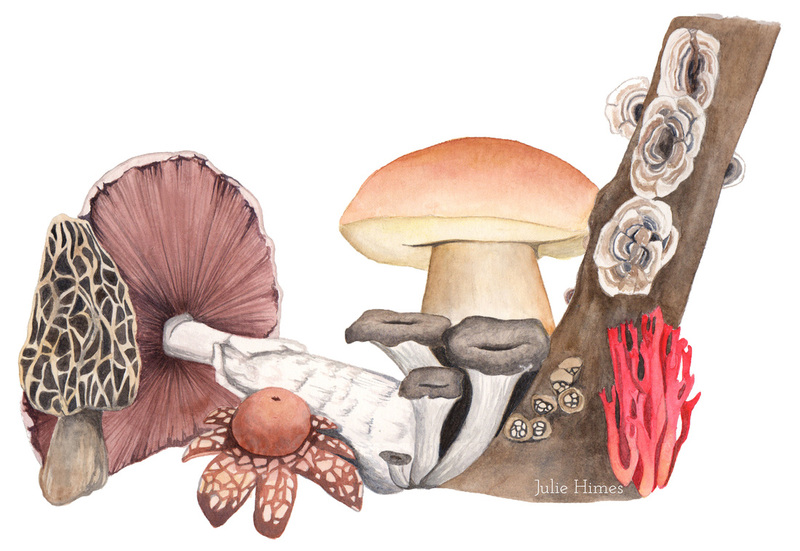 The 2014 poster features my painting depicting the diversity of fungal forms that live in the Bay Area.